Relocations can be a hassle. They uproot your family, they’re time-consuming and costly and, often, you have to do them on a short deadline. 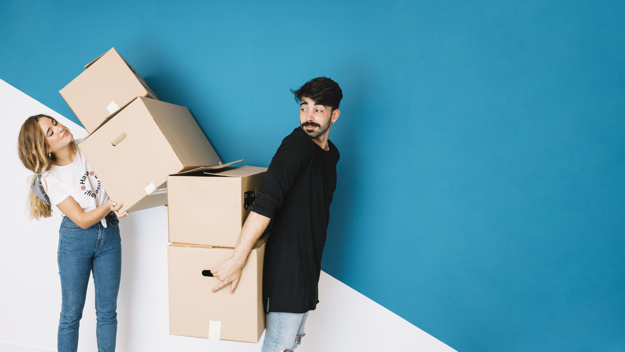 If you’ve got a house to sell and tons of belongings to pack up, they can be a real strain on your sanity. Fortunately, relocations are pretty common – and we’ve seen our fair share of them here at The Claus Team. Find an agent in your new city ASAP. Unless you’re moving to a place you’re already familiar with or you have friends or family in the area, you need to find someone on the ground who can be your eyes and ears. A local real estate agent is a great choice. They can point you to the best neighborhoods, help you find the properties the fit your budget and needs, and even tour potential homes on your behalf. They may even be able to recommend area storage facilities, movers, furniture companies and more. Get clear on – and what’s not. Work with your company’s HR department to find out what exactly they’ll cover in terms of your move. Will they pay for your moving supplies, the van rental, your hotel costs on the way and the cost of movers to unpack your truck when you get there? Will they give you per diems to pay for food, gas and other expenses en route? Will they transport your cars for you? Find out up front what costs you’ll be responsible for so you can start to budget. Visit your new location if you can. You might not have the time or funds to fly the whole family out, but if one of you can head to your new city and get the lay of the land, try to make it happen. They can meet with your realtor, explore potential neighborhoods in person or just get an idea of the city’s amenities and features. The better you know where you’re headed, the better you can prepare. Are you relocating to Schertz or another San Antonio suburb? We at The Claus Team can help. We’re experts in both relocation and military moves, and we can be your man on the ground here in San Antonio. We’ll help you hone in on the right neighborhoods, the right schools and the right properties, and we’ll work with you every step of the way to make your move a breeze.